Just about everything in his life has been influenced by cars in some way. From growing up in the garage while his father worked on cars and trucks, to playing every racing video game he could and getting his license. Since then there is no doubt that cars have been this thing. Actually anything with wheels have been his thing as he also rides motorcycles. When modifying cars and having fun led him to a group called Madison Street Cars many years ago some members of the group stumbled onto this thing called autocross and after a while he thought he would give it a try. Well that was 2010 and since then he hasn't looked back. 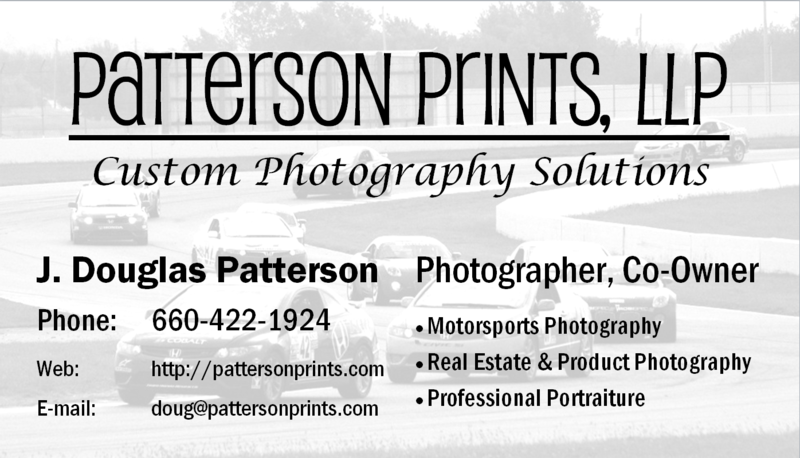 In 2011 he moved from WI to Kansas City for work and found his racing home with the Kansas City Region SCCA. The racing is what brought him out to the events, but the people and good times are what keep him coming back. Over the past few years he has been lucky enough to drive some amazingly fun cars with some talented people. Ranging from Mini Coopers to a Nissan GTR. Boy was that fun on the big pad at Lincoln! His cars over the past 3 years have been an STX BMW E30, a DS/RTF Mini Cooper and currently an STF prepped Mini Cooper. Many people ask about the team name, but not all know the meaning behind it. Dare 2 Dream Motorsports was given that name after a conversation Jeremy had with his little brother, Cody, about a year and a half after Cody was in a snowmobile accident that left him paralyzed from the chest down. It was just a tag line that Cody said about his life and recovery, but something stuck. The team was formed shortly after that in hopes to be able to eventually be able to give back through racing. 2015 seems to be the year where everything is going to finally come together and that looks to be possible. While there is still much for him to learn about the sport of racing he always jumps in 100%. There are a couple of interesting venues that Jeremy is trying to reach out into and will hopefully be able to compete in them in the near future. Adding people to the team has been great and the 3 added people will be great representatives of what the team is all about. Look for a full website to be up in the near future with full details on the team and ideas on how they plan to give back to the community.